Founded in 2015, MediPharm Labs has the distinction of being the first company in Canada to become a licensed producer for cannabis oil production under the ACMPR without first receiving a cannabis cultivation licence. This expert focus on cannabis concentrates from our cGMP (current Good Manufacturing Practices) and ISO standard clean rooms and critical environments laboratory, allows MediPharm Labs to produce purified, pharmaceutical-grade cannabis oil and concentrates for advanced derivative products. 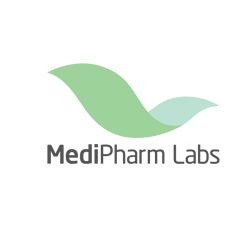 MediPharm Labs has invested in an expert, research-driven team, state-of-the-art technology, downstream extraction methodologies and purpose-built facilities to deliver pure, safe and precisely-dosed cannabis products to patients and consumers.